Richard C. Black, D.D.S., M.S., was recently announced as Dean of the Woody L. Hunt School of Dental Medicine (WLHSDM) at Texas Tech University Health Sciences Center El Paso (TTUHSC El Paso). Dr. Black has served as Interim Dean of the WLHSDM since 2017. 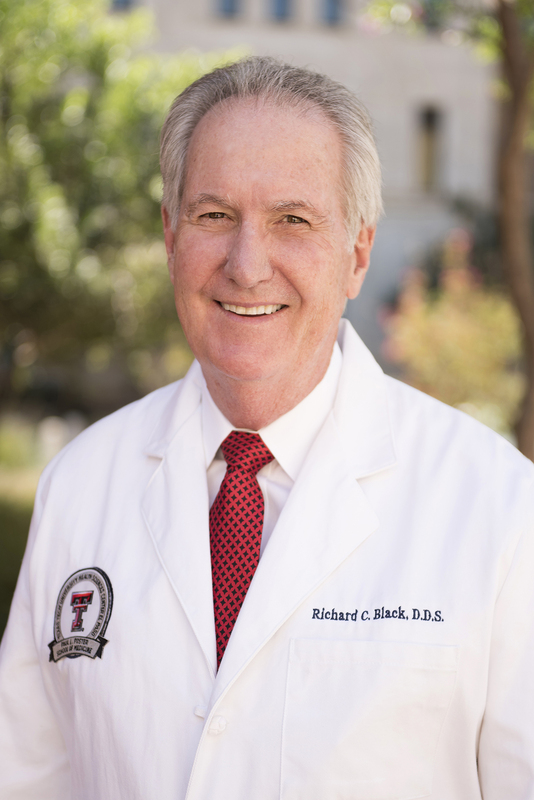 Richard C. Black, D.D.S., M.S., was recently announced as Dean of Texas Tech University Health Sciences Center El Paso’s Woody L. Hunt School of Dental Medicine. Dr. Black, who has served as Interim Dean of the WLHSDM since 2017, brings 39 years of experience as a practicing orthodontist to TTUHSC El Paso’s newest school. Dr. Black brings 39 years of experience as a practicing orthodontist to TTUHSC El Paso’s newest school. He received his D.D.S. and orthodontic specialty training at the University of Texas Health Science Center at Houston School of Dentistry. He has served as President of the El Paso Dental Society, as well as the Texas Dental Association, and is currently the national trustee for the 15th District (Texas) of the American Dental Association. Dr. Black has also served as Chair of the Texas Dental Association’s Legislative and Regulatory Affairs Council through four sessions of the Texas Legislature. Dr. Black is a native El Pasoan and prominent community leader. He has served in many civic positions, including Chairman of City/County Public Health, Chairman of the Board of the Early Childhood Learning Center, El Paso Craniofacial Team, President of the Sunturians of El Paso, President and Chairman of the American Heart Association in El Paso and Texas, and President of El Paso’s Sun Bowl Association. The WLHSDM is expected to welcome its first class of dental students in 2021. When the school opens its doors, it will be West Texas’ first and only dental school.